Despite what headlines might otherwise indicate, 2017 has been a quiet — albeit positive — year for the stock market so far. Volatility, as measured by the CBOE Volatility Index (aka the VIX) has been at multiyear lows. Tech stocks, until a recent bout of weakness, had moved steadily higher. 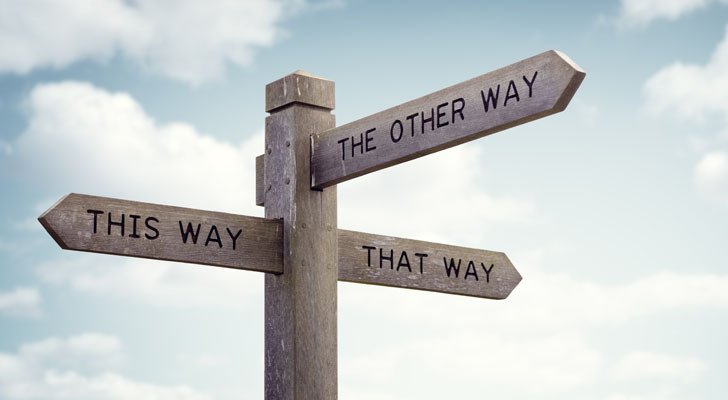 So steady have the broad market’s gains been that some observers have argued that investors simply are too complacent at the moment. For the market as a whole, volatility — and perhaps a bit of anxiety — no doubt will return at some point. But even low market-wide volatility hides the fact that some stocks have made big moves (and more still will do so soon). And for investors who see the current market as a bit too boring, here are 10 stocks likely to have significant volatility over the next few quarters — or in some cases, the next few weeks. All 10 stocks are likely to make a big move. The trick is to figure out in where they’re headed. To be fair, Puma Biotechnology Inc (NASDAQ:PBYI) already has made a huge move. 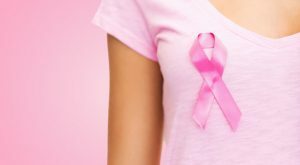 The stock has gained over 150% just since May, driven by positive FDA news relating to its neratinib breast cancer drug. And many, if not most, biotech stocks have the potential for big moves on drug approvals or data from studies. But PBYI likely isn’t done moving. FDA approval still isn’t guaranteed, though an advisory committee gave a positive recommendation. Early results for Roche Holding Ltd. (ADR) (OTCMKTS:RHHBY) drug — and potential neratinib competitor — Perjeta disappointed. That news gave further fuel to the PBYI rally. But Perjeta isn’t finished, and may have an advantage in certain types of cancers. Add to that the fact that Puma likely becomes an acquisition target should it make further progress, and PBYI’s volatility likely is only beginning. Should data continue to come in positively, Puma likely gets bought out — and PBYI stock continues to climb. Any bumps along the way, however, could precipitate a big drop for PBYI. 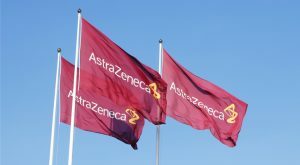 Another health care stock likely to make a big move — albeit one much smaller than that of PBYI — is AstraZeneca plc (ADR) (NYSE:AZN). As a diversified drugmaker with an $85 billion market cap, AstraZeneca obviously won’t see the volatility of a largely single-product biotech. But commentary from AZN CEO Pascal Soriot this weekend suggests AZN stock could have some volatility going forward. Soriot admitted to the Financial Times that disappointment from a key immunotherapy trial targeting lung cancer would be a “substantial setback” for the company’s oncology program. He also said that a takeover of AZN remained a possibility. Pfizer Inc. (NYSE:PFE) tried to acquire AstraZeneca before walking away in 2014. AstraZeneca’s U.K.-listed shares remain modestly below the 55 pounds per share Pfizer offered then. Of course, success in oncology would make AZN a more attractive takeover target — while a failure might lead Pfizer and other potential acquirers to look elsewhere. That in turn would amplify the impact of lung cancer study data on AZN stock. Obviously, AZN isn’t set to rise — or fall — in the way that PBYI might. But it does seem likely that AZN will see more volatility over the next 12-24 months than its investors might be used to. 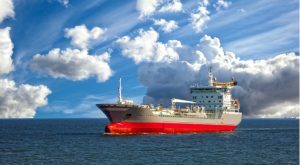 By the standards of the volatile shipping sector, DHT Holdings Inc (NYSE:DHT) has had a very quiet run of late. DHT stock is not far from an all-time low after a recent decline, but a range over the previous year of $4-$5.50 is much narrower than that of other shipping stocks. DHT stock should see volatility increase, however, amid M&A drama. In May, DHT once again rejected a takeover offer from larger rival Frontline Ltd. (NYSE:FRO). That offer came weeks after DHT swapped stock for 11 VLCCs (very large crude carriers) with privately held BW Group. That deal made BW DHT’s largest shareholder — and put a monkey wrench in Frontline’s attempts to acquire DHT. Frontline in turn sued DHT, only to see its request for a preliminary injunction of the deal blocked in court. Now, DHT still looks like an acquisition target, but the sector as a whole looks rather weak. There have been a few signs of life in shipping, but many stocks, including FRO, are at multi-year lows. With any improvement, DHT could skyrocket as M&A speculation resumes. But a continuation of the current path could lead DHT stock to that all-time low and beyond. Chesapeake Energy Corporation (NYSE:CHK) stock has had more than its share of volatility over the years. CHK stock dropped from nearly $70 in late 2008 to below $2 early last year. A huge debt load and collapsing energy prices nearly drove Chesapeake to bankruptcy. The ship has been righted — somewhat. CHK stock has settled into a range, and continues to bounce off support around $5 per share. But with oil prices still weak and natural gas prices dropping of late, that support may be getting shakier. From a technical perspective, that $5 level seems key. If CHK can hold that support again, it likely has another bounce in it. But if investors capitulate this time, technical analysis would suggest that $5 turns from support into resistance. And CHK stock likely would quickly be on its way to a 52-week low. Abercrombie & Fitch Co. (NYSE:ANF) appears to be for sale. And it had better be. Over the past month, ANF stock has seen a tug-of-war, as rumors of an acquisition drove ANF stock up, only for general mall retailer concerns to pull it back down. ANF itself neared a 16-year low before rumors of a buyout by rival American Eagle Outfitters (NYSE:AEO) spiked the stock. But what looked like a do-or-die earnings report wound up with a mixed verdict: good enough to keep the takeover hopes alive, not good enough to spark much enthusiasm about A&F going it alone. I still think ANF is a buy at current levels, as the company clearly is incentivized to make a sale, even with the stock down sharply from early decade (and even 2016) highs. But that process creates a bit of a binary outcome for A&F. If a sale comes, ANF probably jumps to match that price (or close). If not, ANF returns to being valued on its own earnings. Given that those earnings are negative, that poses a problem for ANF stock holders. I’ve been as big a bear on Valeant Pharmaceuticals Intl Inc (NYSE:VRX) as there is. I’ve long been skeptical that the company can avoid bankruptcy, let alone create positive shareholder value, even as VRX stock hit the single digits. But even I have to admit that it looks like Valeant just may have a chance after all. VRX stock clearly has stabilized over the past month. That’s hardly a long time for normal stocks, but for the ever-volatile and mostly declining Valeant, recent trading has been a notable respite. And there is some good news. The sale of iNova and the possible sale of the Bausch & Lomb surgical products business can help the balance sheet. What’s more, Goldman Sachs has upgraded Valeant’s debt and Deutsche Bank has turned cautiously positive on its equity. There’s a sense here that the steady drumbeat of negative news that pushed VRX from $250 to under $10 in less than two years might finally be over. That hardly implies that VRX will skyrocket from current levels. But there’s enough negativity priced in that even a return to normalcy could provide a huge boost to Valeant stock. Combine that with the ever-present possibility of more bad news, and it seems likely that VRX will break its recent range relatively quickly (and perhaps rather violently). United States Steel Corporation (NYSE:X) stock already has made a big move, but it’s likely not ready to stabilize just yet. X stock better than doubled between early November and mid-February, driven by post-election optimism. But a huge Q1 miss — including a surprise loss — took the air out of its sails, and X now has given back nearly all of its gains. More volatility is likely. Analyst opinion on the stock has become sharply divided: X stock fell 5%-plus on Wednesday after a downgrade from Axiom Capital. U.S. Steel’s reasonably large debt load will amplify the impact of any changes in sentiment (or 2017 guidance) on the X stock price. 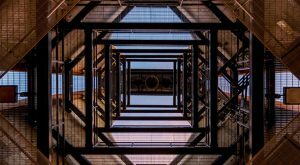 The regulatory outlook remains uncertain, as the Trump administration completes a key study on the global steel market. X option prices imply roughly 35% volatility just through January 2018. If those traders are right, the volatile trading in X stock won’t end in 2017 — at least. Tegna Inc (NYSE:TGNA) stock has been surprisingly quiet the past few months and years. The company formerly was known as Gannett. It split off its print operations — including USA Today — into a new company that took the Gannett name, and last month it spun off Cars.com Inc (NYSE:CARS). It’s those properties that might drive some volatility in TGNA stock. Media stocks increasingly are driven by concerns about “cord-cutting” and the impact of streaming services like Netflix, Inc. (NASDAQ:NFLX). Smaller cable stocks like AMC Networks Inc (NASDAQ:AMCX) have fallen sharply over the past few years. Walt Disney Co (NYSE:DIS) stock has been hit by concerns about its ESPN and ABC units. Tegna’s local TV stations differ from those cable channels, to be sure. But some of the larger fears persist, and similar stocks have seen reasonably big moves of late. Gray Television, Inc. (NYSE:GTN) went from $7-plus before the election to $15 back to $11. 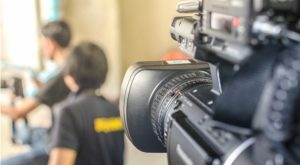 Earlier this year, Nexstar Media Group Inc (NASDAQ:NXST) lost 25% of its value in a little over two months before recovering. It’s still unclear how the media landscape in the U.S. will look in five years. And that uncertainty seems likely to be reflected in TGNA stock at some point soon. 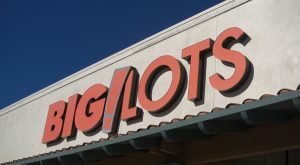 There are very few “quiet” brick-and-mortar retail stocks out there, but Big Lots, Inc. (NYSE:BIG) is one of them. That may not last that much longer, however. For the most part, discount stores like Big Lots have seen their stocks hold up reasonably well, but only relative to the rest of retail. Both Dollar Tree, Inc. (NASDAQ:DLTR) and Dollar General Corp. (NYSE:DG) are down 16% over the past year. In contrast, BIG is down less than 2%. That performance has caught the attention of short sellers. BIG’s short interest is over 34% of its float, one of the highest figures in the market. So far, that pressure hasn’t hit BIG stock too badly. But if the short sellers are right, BIG should see the same pressure as so many other brick-and-mortar retailers. If those shorts are wrong, a single solid quarter could trigger a huge short squeeze. Either way, the low-volatility trading of BIG stock seems due to end relatively soon. Shutterfly, Inc. (NASDAQ:SFLY) stock has been relatively range-bound going back to 2013. That’s a surprise given a relatively high earnings multiple (32x-plus 2018 analyst estimates EPS) and the nature of the business model. Add to that potential competition from Amazon.com, Inc. (NASDAQ:AMZN) and SFLY could have some downside. The flip side is that Shutterfly still is posting some growth and driving margin expansion. The nature of the business model creates opportunity for further leverage, and so far the Amazon threat seems minimal at most. It’s a classic growth stock argument, down to the 14% short interest. But for some time now, SFLY hasn’t traded like a growth stock. It seems likely that will change at some point, and maybe some point soon. Article printed from InvestorPlace Media, https://investorplace.com/2017/06/10-stocks-ready-for-a-big-move-in-either-direction/.